Want to make a difference in your community? If you have a skill or area of expertise you would like to share, we would love to hear from you! Educate and empower our participants! Share your home repair knowledge and skills! As an Workshop Instructor, you will present the material and answer questions in a casual, friendly, and supportive environment. Workshops/classes focus on solutions to home issues that are affordable and that our participants might be able to do themselves. 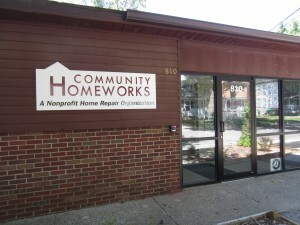 Community Homeworks provides the instructor with outlines, handouts, and props related to the topic. Workshops and classes are typically two hours in length and are typically scheduled Tuesday/Wednesday evenings from 6-8pm and some Saturdays. We will work with your availability. New instructors will meet with staff for an orientation and review of curriculum materials is necessary. It helps us to know your interests and skill sets. If you would like to connect with us, please fill out and submit the form below. Please indicate your preferences in the list below. What topics could you teach?